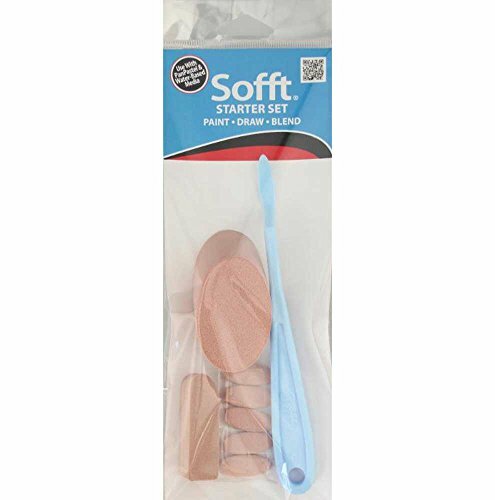 This Starter Set of Sofft Tools is a great initial step into a wide variety of mark-making materials specifically made for PanPastels. Use them to paint, draw, and blend colors. Use with any dry media including chalk, charcoal, conte, graphite or even water-soluble media. Included in this set are: 1 Number 3 (Oval) Knife, 5 Number 3 (Oval) covers, a Sponge Bar with curved end, and an Angle Slice sponge. Versatile and reusable, clean with soap and water and air dry.